You may have troubles getting your toddler to nap and at times it may seem nearly impossible. Resisting naps is actually a normal part of childhood. There's many reasons why naptime can end up being a hassle, including your child being overtired, schedule changes, health concerns, or they may simply be growing out of naps. The best things to do to get your child ready for naptime (or bedtime) is to stay consistent with your routine and maintain a positive sleep environment. Everybody wants a nice warm cozy place to curl up and snooze. They want to feel comfortable and calm. 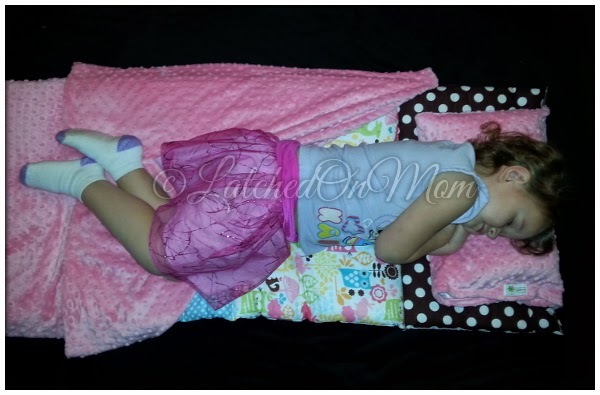 A great thing to offer your child is their own personal nap mat, like the ones available at www.janiebee.com! 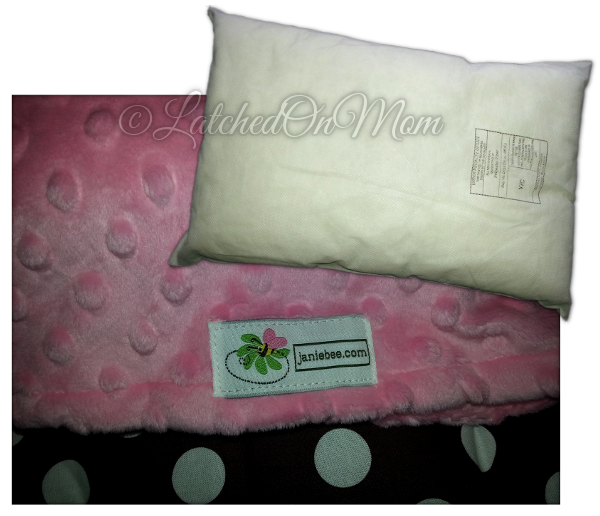 I recieved the Meadow Quilted Nap Mat from Janiebee for reviewing purposes. 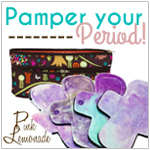 I'm happy to help you become more acquainted with the company and these beautifully handmade nap mats! All Janiebee Quilted Nap Mats are made in Georgia, USA. Janiebee Quilted Nap Mats are constructed of 100% soft quilters cotton on both the top and bottom. The designer quality fabric prints they offer are absolutely adorable! The Meadow Nap Mat has owls and other cute animals and foliage in bright pink, aqua, orange, yellow and green. 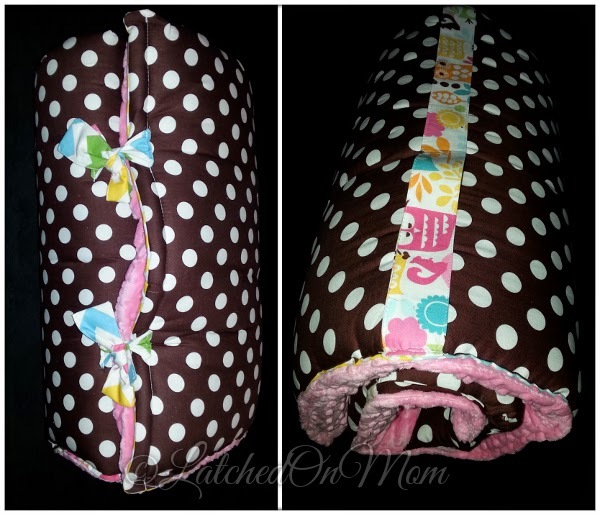 Janiebee Quilted Nap Mats conveniently roll up and securely tie shut. 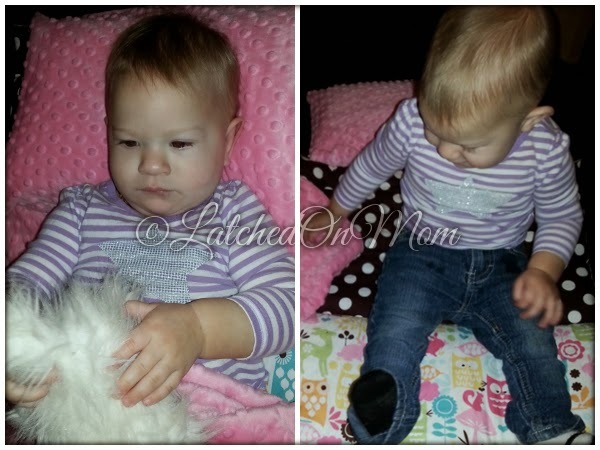 There is a coordinating shoulder strap for you or your child to carry their nap mat anywhere! They come with an attached blanket, made of a double layer of Dimple Minky (plush, velvety fabric). There is also an attached pillowcase, made of Minky as well. The pillowcase has a velcro closure to keep the pillowcase from shifting around, and the Janiebee logo tag rests on top of this closure. A 11 inch by 16 inch pillow is included. Safety is our number one concern. Don't risk your child's health on cheap imitations and sub-standard components. Our mats ARE the thickest and safest available, manufactured with fiberfill quilt batting made to our specs. It is 2 inches thick, NOT treated with any chemicals and has been recommended by the Center for Environmental Health... Our Nap Mats have been tested for lead and flammability and have passed all government regulations. Our testing was conducted by an independent laboratory in North Carolina. Janiebee Nap Mats are in compliance with the guidelines provided by the Consumer Safety Improvement Act and the US Consumer Product Safety Commission. One other thing that I find fantastic about Janiebee is that every single scrap is not wasted! Blankets, clothes and pet beds are made with remnants and donated to shelters and other community resources! I love companies that pay it forward!!! The moment that I unrolled our Janiebee Nap Mat, both my girls were so tickled pink, they spent a few hours examining the fabrics and cuddling and of course some pretend sleeping... it was so interesting seeing their enchantment and appreciation of this lovely nap mat! The mat is very spacious (even for my almost 5 year old who is three and a half feet tall already!) 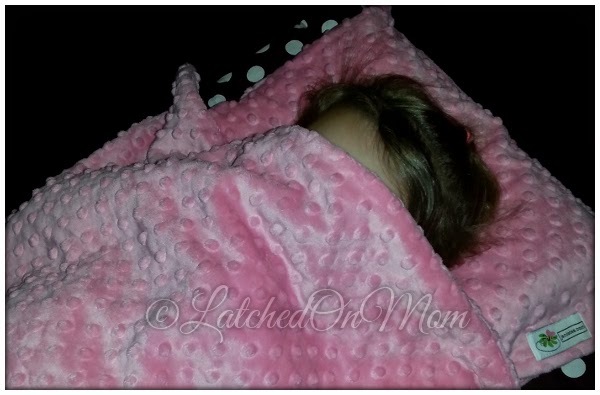 and the blanket snuggles your child up so they feel as snug as a bug in a rug. Janiebee Nap Mats are AWESOME! My older daughter ended up putting it on her bed because she loves it so much! I can honestly say it's helped tremendously with bedtime, because she knows she has a cute, safe, comfy and warm place to rest her sleepy head! Don't have any worries about washing your nap mat either! I've had to do this, and they are super simple to wash. Just remove the pillow and throw the nap mat in the washer. Add your soap and wash on a cold or warm wash only. And you can put it in the dryer too!!! Tumble dry on low. There's so many different color combinations of prints available to suit your child's fancy! Personalization is an additional choice you can include and there's even an option to design your own one-of-a-kind nap mat! 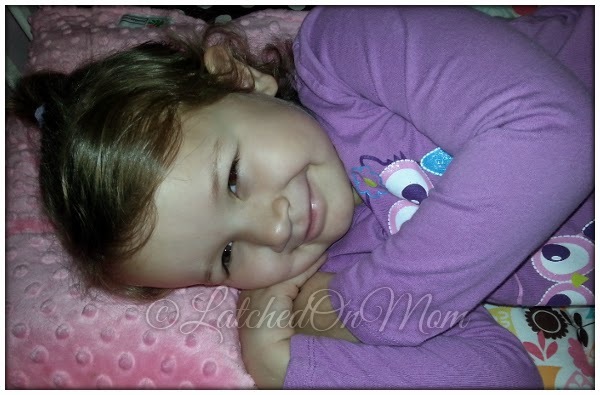 Janiebee Nap Mats are also great for daycares, grandparent's house, or camping! 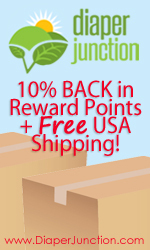 Be sure to LIKE Janiebee on Facebook to keep up with new products and to receive valuable coupon codes! 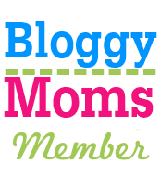 I'm so happy to get to host a giveaway here on my blog for Janiebee! 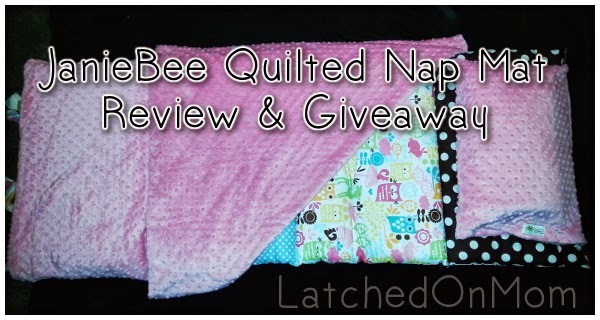 One of my readers will win a Janiebee Quilted Nap Mat, valued up to $119.99! Thanks so much Janiebee! 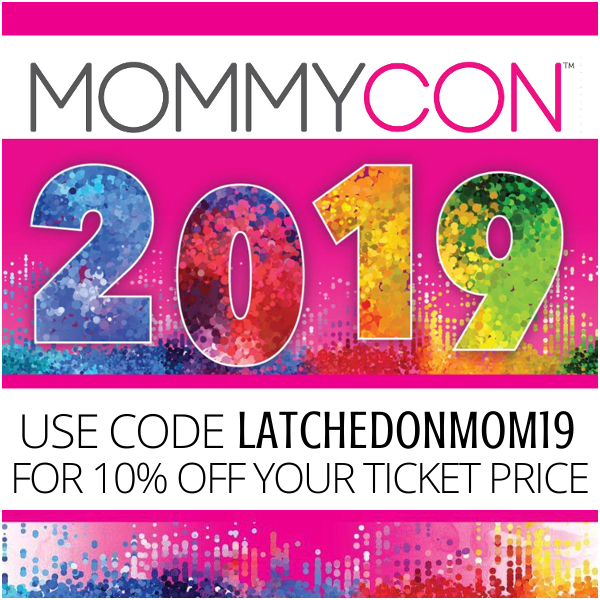 All you have to do to enter is to fill the Rafflecopter form below. Giveaway will run from 11/16/2014-11/24/2014. Open to US only. Must be 18 years of age or older to enter. Void where prohibited. Winner will be announced on this post as well as emailed (so make sure to log into the form with the email address you use). You will have 48 hours to respond or another winner will be drawn. I'd be happy with any. 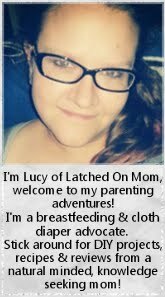 It would be great for my kiddo starting daycare this week! I would choose the sidewalk kids mat because I love the alphabet letters and my husband fixes bikes for fun so we love bike prints! I really like the pink and polka dot in the picture. I love dots! I like the Meadow Quilted Nap Mat! I oive garden walk. It matches with the colors I use and it fits my daughters personality exactly! Thanks for this awesome opportunity! Fingers crossed! Love the sweet peach or sweet dreams for my precious grand daughter. Or cosmos for a friend expecting her first son! Sweet Dreams Quilted Nap Mat by Janiebee because it is gender neutral and really beautiful! I love the Forest Quilted Nap Mat because it's so colorful and would be great whenever my daughter goes over to someone else's house. Super cute! I'd order the shark nap mat for my 4 year old son! Oh Carter would LOVE the Shark Quilted Nap Mat! He is sitting next to me and going nuts over the sharks!!! This would be so wonderful for Carter! I would choose the Cosmos Quilted Nap Mat for my 19 month old grandson. He could take it to daycare with him. First I want to say how adorable these are!! They're unique, I haven't seen anything quite like them. So adorable. If I was lucky enough to win I'd choose the Meadow print. Love it!! I would pick the Princess and the Pea Quilted Nap Mat because I like the mix of lavender and teal. I would choose the Garden Walk nap mat because my daughter loves girly stuff. These are all so adorable! I would choose the Caravan Quilted Nap Mat. I think the elephants on it are so cute and I love that it is gender neutral too! I would probably pick the It's a Zoo Quilted Nap Mat.